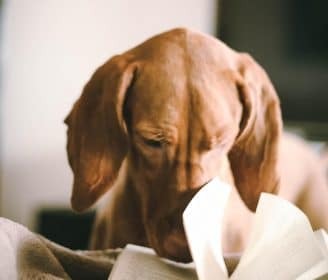 When it comes to how our dogs eat food and lap up water, there is actually a whole host of issues that can pop up, including those around digestion and bacteria. Luxury homeware brand Magisso knows this and has set out to solve these problems by creating beautifully-designed bowls that are also super functional. 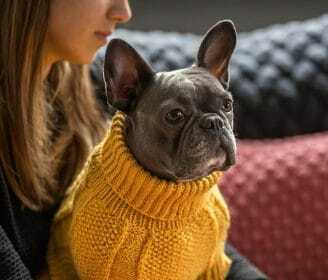 The Finland-brand — known for its modern, Nordic designs– recently unveiled its four-legged division, Happy Pet Project, with a simple goal. 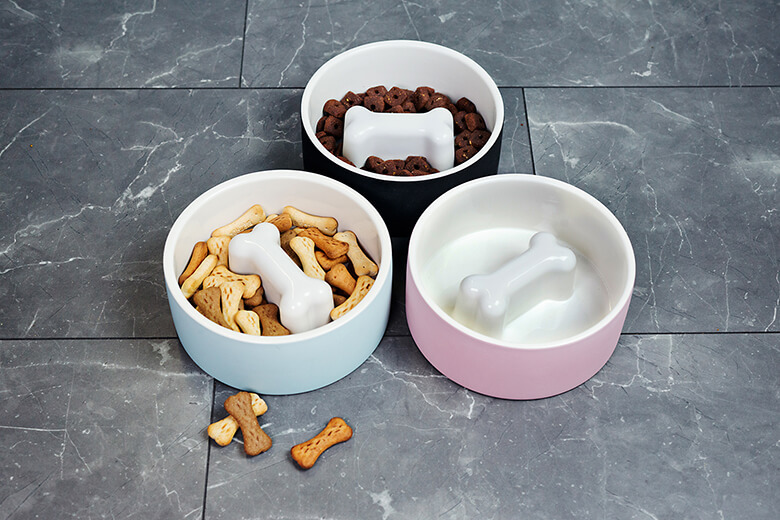 “We’re dedicated to designing functional, aesthetically pleasing objects which help pets to stay healthy,” says CEO of Magisso North America, Sue Pregartner. 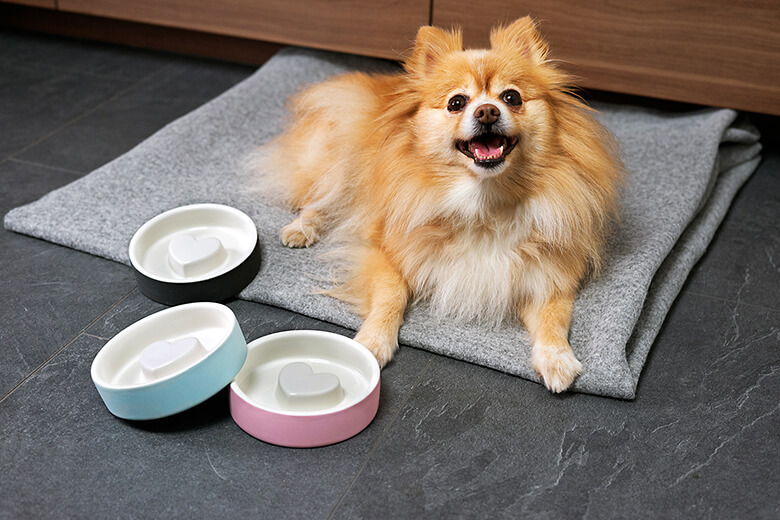 The company launched with two revolutionary products to fulfill this mission: its slow dog feeder and naturally cooling water bowl. 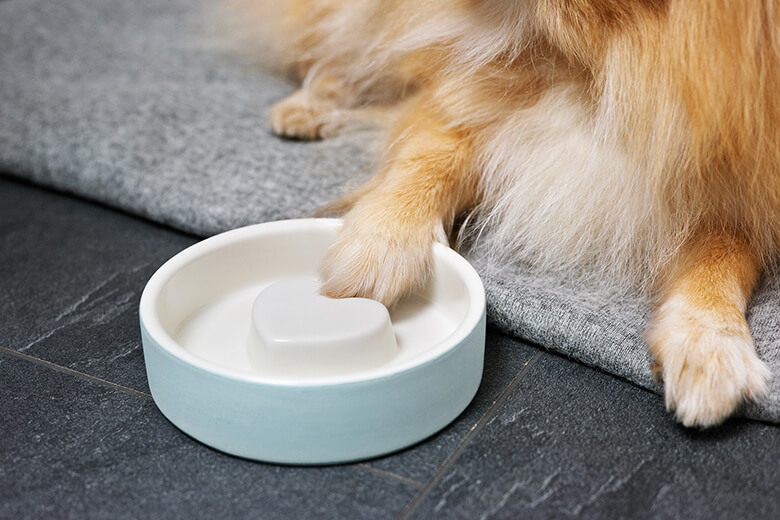 The ceramic water bowl, when soaked first in water, keeps the contents cool, which reduces bacterial growth and maintains freshness. Dogs drink more because the water stays cold, increasing their hydration and helping them stay healthy, says Pregartner. Also, cold water is definitely refreshing on a hot summer day, or when the heat is blasting during the cooler seasons. 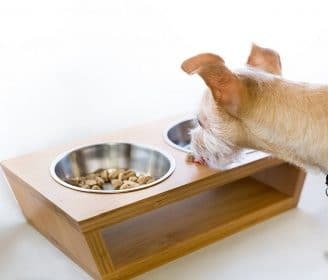 As for its slow-eating dog food bowl, the company designed it for dogs that scarf their food too quickly. 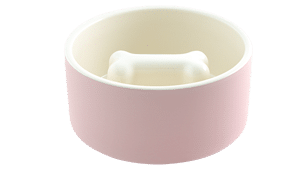 Besides the everyday food inhalers, Pregartner believes the bowl is perfect for our adopted four-legged friends. Dogs that are rescued may not come from healthy environments. They may be underfed, neglected or need to compete with other animals for food and attention. 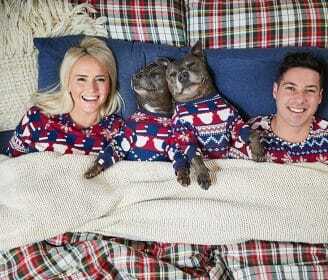 The result can be dog who gobbles up food way too fast. The bowl helps slow down the process. 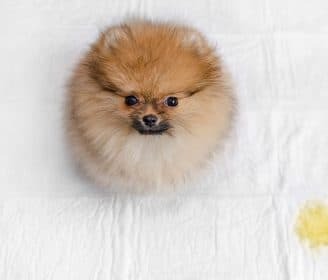 The inside bottom of the bowl contains a raised heart or bone shape, forcing our dog to eat around it, which takes time. 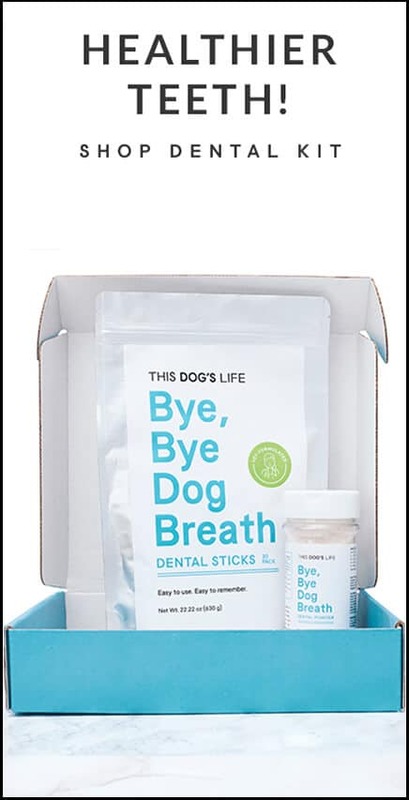 It not only can help prevent choking, indigestion and bloat, but also the slow-eating process forces our dog to use her tongue more and take smaller bites; consequently, the mouth produces more saliva and the food is chewed longer, producing more good bacteria that helps keep teeth clean. 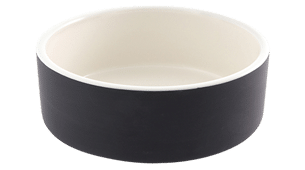 Plus, similar to the ceramic water bowl, it is also made of naturally cooling ceramic, helping keep food fresh — especially great for raw food. We think both are pretty amazing solutions. The products were developed based on Magisso’s human line of naturally cooling ceramic barware – think: tumblers and wine chillers — that won the Good Design Award in 2014, which is one the most prestigious global design awards for innovative and cutting-edge industrial, product and graphic designs produced around the world. When Pregartner visited her relative’s house and saw her dog drinking out of the ceramic toilet bowl rather than a water bowl, she was told it was because she preferred the cold water from the toilet. It was an “aha moment” that launched a new product line and a new division of the company — but it took a little convincing. Considering the $72 billion pet industry, Pregartner pushed back. She used her sales persuasion along with research and trends to win them over. It worked. 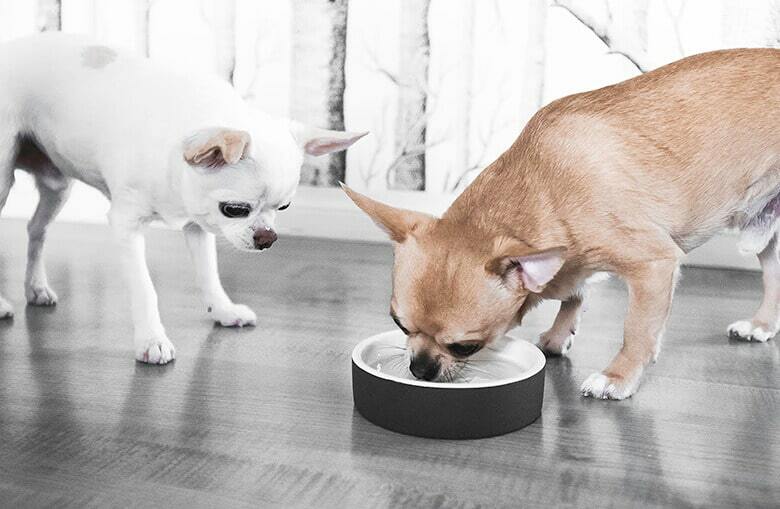 Today, the slow feeders and dog bowls are one of Magisso’s most popular sellers. 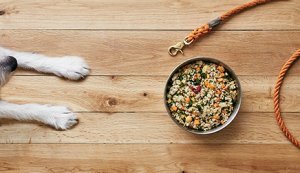 “We developed a gorgeous, conscientiously designed line of pet products that not only look good in your kitchen, because that’s our need as humans, but are also healthy for our pets,” says Pregartner. 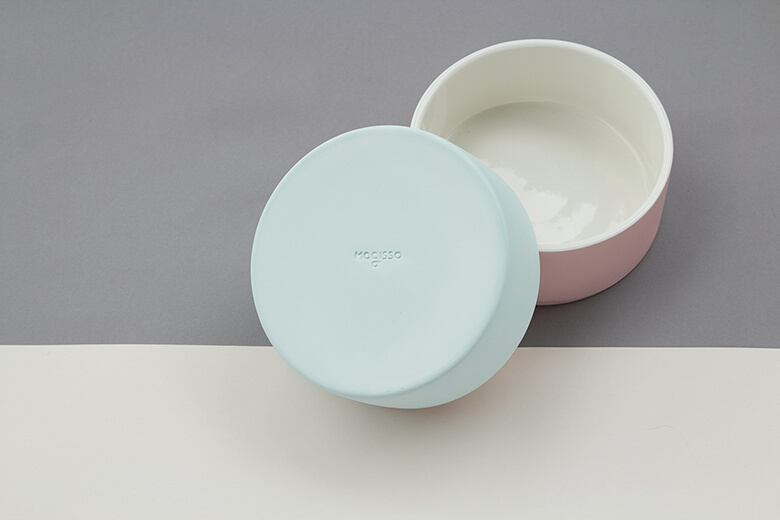 The soak-to-cool bowls won the European Product Design Award last year and Magisso has collaborated with several organizations. When Pregartner showed the bowls to the Animal Medical Center in New York City, one of the largest veterinarian clinics in the world, the team was so impressed they asked Magisso to produce a limited edition with the AMC logo for board member and giveaway gifts. Crate & Barrel also requested a special edition with a fish shape instead of a heart in the smaller food bowl. 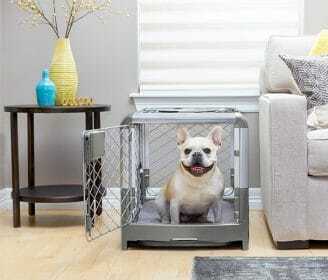 The Happy Pet Project line is also available at its online store, Bloomingdales, Frontgate, The Grommet, and others. 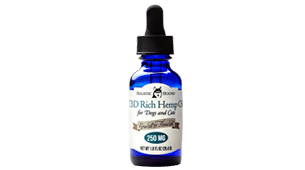 And of course, it is available on This Dog’s Life, as we want to provide dog parents only the best. The price ranges from $27-$49. 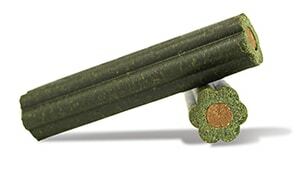 Its newest collection features additional colors, vibrant tangerine and cool concrete. While dishwasher safe, handwashing is recommended for the bowls. 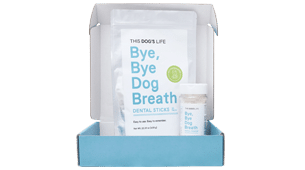 Besides the slow feeder and the water bowl, the company also has a treat jar and has plans to roll out additional pet products this year – with, of course, a focus on providing the best for our four-legged friend.